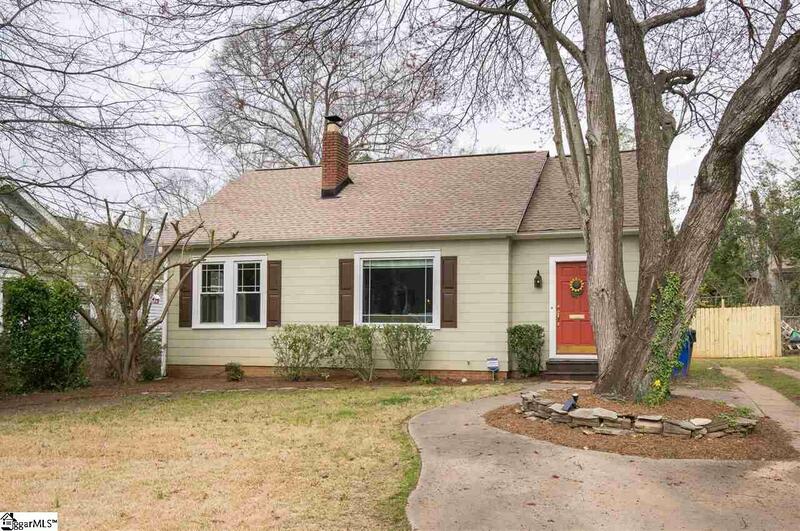 Adorable home, move in ready with great backyard AND in the highly desirable Augusta Road area - what are you waiting for! The brightly colored front door welcomes you home to this charmer, nestled on a quiet, wide tree-lined street with sidewalks. Beautiful hardwood floors and crown molding throughout. The updated kitchen boasts lots of cabinet space, stainless steel appliances and granite countertops â and the fridge, washer and dryer all stay! 3rd bedroom currently used as den. Nothing beats grilling out on the deck and enjoying the large fenced back yard with family and friends. The one car detached garage provides amazing storage and workshop space and/or potential to transform into a bonus room or separate home office. Updated PEX plumbing, nest thermostat, newer roof and HVAC add to the appeal. Ideally located minutes from Prisma Health, Augusta Road shopping/dining, and all downtown Greenville has to offer. Schedule your showing now to experience firsthand the charm and lifestyle 14 Arthur Avenue offers.